Two features that often surprise buyers are (1) most of the homes here have basements and (2) many homes don’t have air conditioning. 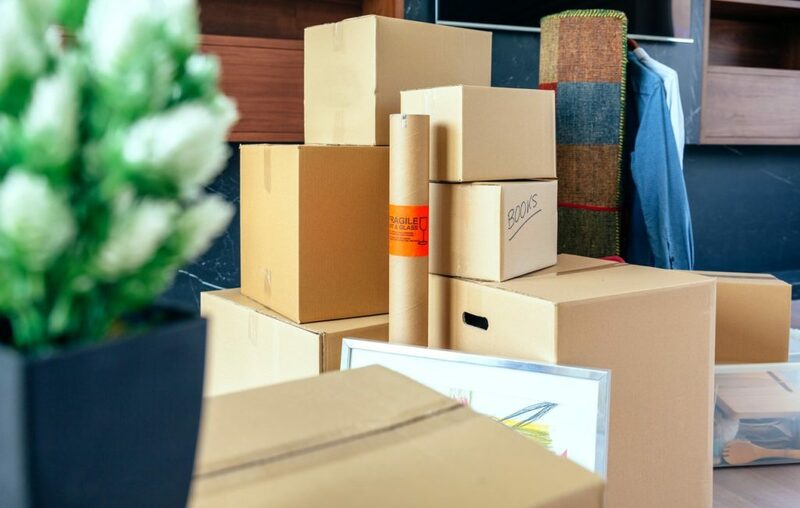 Basements can be either garden level (partially under ground) or fully subterranean. 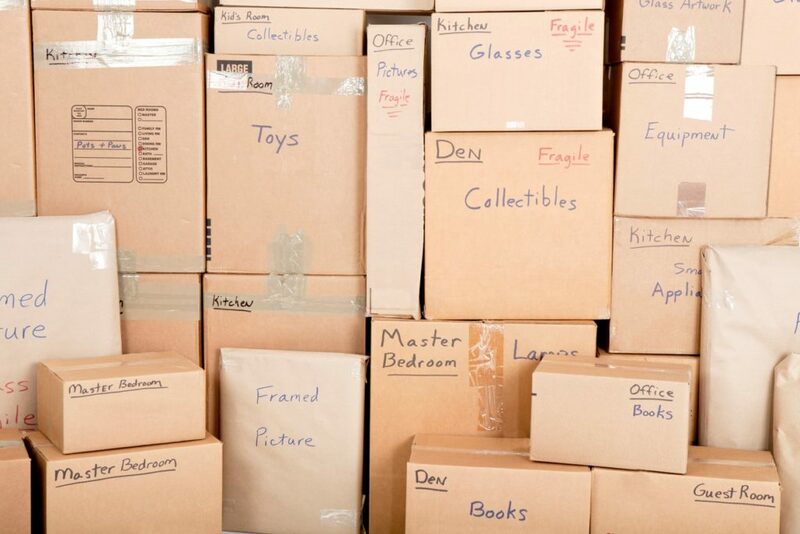 We often use basements for guest quarters, mancaves, storage and rec rooms. And because they’re underground they tend to stay cool and comfortable. Which brings us to the next point: many homes don’t have air conditioning because of our year-round comfortable, moderate weather. Although we have an average of 300 days of sunshine a year, the temperatures are moderate and many homeowners opt to crank open the windows rather than spend the money on A/C units. Plus, if it’s a historic Colorado Springs home it may not have the venting system needed for air conditioning. Even if you do have air conditioning, units tend to last longer than other areas where A/C is run consistently through the day. No matter where you live in Colorado Springs, you can see the mountains from just about anywhere. So, you always have a natural landmark to keep you oriented when you’re totally lost. Just remember: the mountains are always to the West. Even Colorado Springs natives still rely on this trick when they get turned around. The core of downtown Colorado Springs is on a grid system (just like most cities) with the “zero address point” being the corner of Cascade Avenue and Pikes Peak Avenue. But once you get out of downtown, the streets begin to curve, zag, loop, change names randomly, and just flat out confuse drivers. 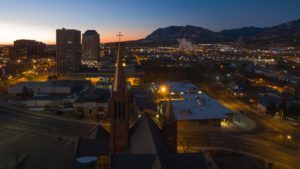 It’s partly because Colorado Springs is located in the foothills of the Rocky Mountains, so the rolling hills and landscape make road planning challenging. Also, as the city has grown there have been additions to buildings, reconfigured streets, changes to neighborhoods, etc. that have demanded some creative solutions. For instance, Penrose Hospital and Colorado Colorado both expanded their campuses which abruptly end Tejon St in two different places. Just keep in mind that Fillmore, Circle, and Lake Ave are all actually the same street, Academy is probably the longest, and Union is the curviest. This is another great time to remind you the mountains are always West. Because of our high altitude at 6,035 feet, you’ll want to drink plenty of water to stay hydrated. Colorado Springs is actually an semi-arid, high-desert climate so lip balm, water, and hand lotion are great things to have at your disposal! The low moisture and humidity have many positive effects, like the fact there are fewer bugs and you can enjoy 300+ days of sunshine! Did we mention your cereal stays crunchy in the pantry? Often, when people start considering purchasing a home in Colorado Springs, they are surprised to learn a few things. First of all, our property taxes are below average for what you’ll pay in other cities. For your average 3 bedroom, 2 bathroom, 2 car garage home on a quarter acre lot, you’re probably looking at around $1,900 in property taxes for the entire year. That’s a shock to many buyers from the East Coast and other areas which see these types of rates on a quarterly basis. Of course, property taxes on townhomes and condos are going to be even less and with any single family residence, you can apply for a senior tax exemption which will cut your property taxes in half if you qualify. Also, within the city of Colorado Springs, most utilities are run by a single, government owned company called Colorado Springs Utilities. This means you’re able to bundle you gas, water, waste water, and electric into one single bill and the cost savings are noticeable. If you’re considering a home in Colorado Springs, you can have your agent request an average utilities bill payment from the seller to see what they’re currently paying. There are so many benefits and unique perks about living in Colorado Springs! We can’t list them all here, so contact your favorite real estate agent for more details. We’ve gotten used to seeing the Springs get top rankings compared to other cities. We’ve been recently listed one of the top cities for affordability, starting a business, and best place for first-time homebuyers. In the latest survey, Colorado Springs ranks #11th overall for 2017 Best Places To Live by U.S. News & World Report. The survey ranks the 100 largest metropolitan areas in the United States based on affordability, job prospects and quality of life. But we ranked even higher when they asked people where they want to live, if they could go anywhere they want. 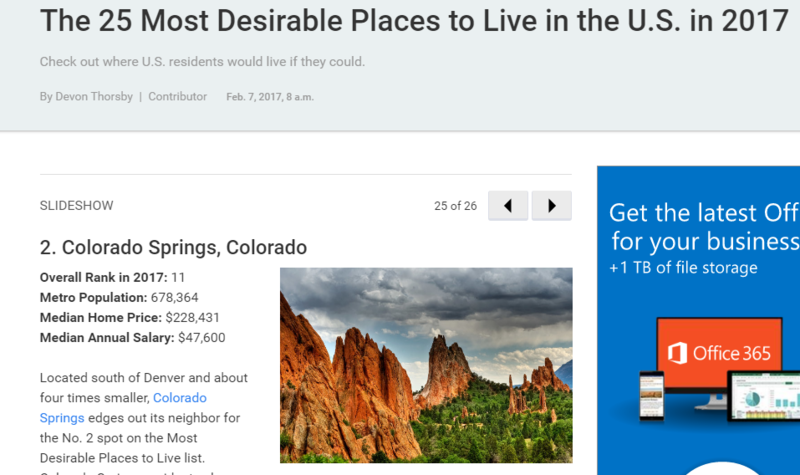 That put Colorado Springs at #2 for the most desirable place to live. Right behind Honolulu.